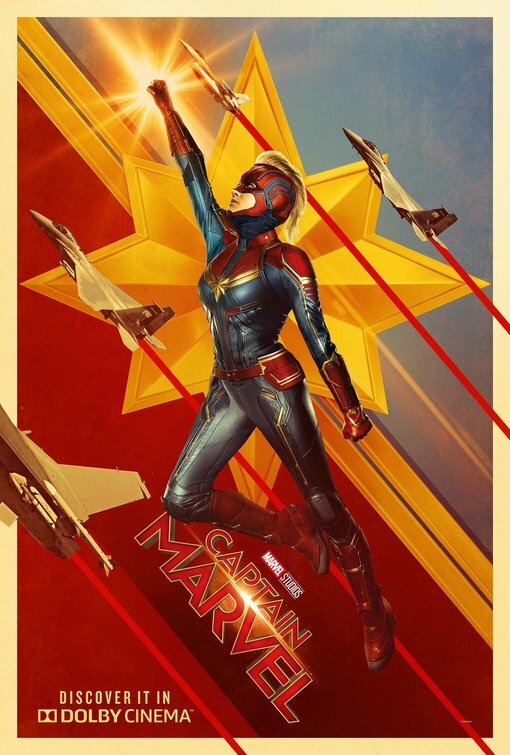 Captain Marvel knocked out any competition for the second successful weekend in a row at the top of the box office. The first female-led MCU film stars Brie Larson as Carol Danvers, an Air Force pilot who gains superpowers after aliens shoot her plane down. Since its debut last weekend, the film has reigned supreme, earning an additional $68 million this weekend for a total of $265 million. The film has earned over $760 million worldwide, surpassing 10 previous releases in the MCU, soon to become the tenth highest grossing in the MCU. The animated film Wonder Park debuted in second place this weekend. In the film, a little girl named June finds her childhood dream amusement park has come to life, but is overrun by naughty chimpanzombies. The film earned a total of $15.9 million in its first weekend. The romantic drama Five Feet Apart opened in third place. The film stars Haley Lu Richardson and Cole Sprouse as two cystic fibrosis patients who are drawn to each other. The film earned $13.2 million in its opening weekend. How to Train Your Dragon: The Hidden World dropped one spot to fourth place this weekend. Hiccup (Jay Baruchel) and Toothless discover their true destinies while being confronted by the darkest threat they’ve ever faced. The film gained an additional $9.3 million at the box office for a total of $135.6 million.